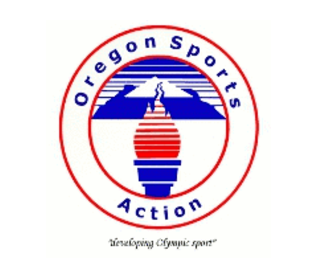 Arran Gimba is the founder of Oregon Sports News, the leading independent Oregon sports site on the web. A graduate of the University of Portland, Arran interned for the Portland Trail Blazers and worked for the Portland Winterhawks and the Oregon Sports Authority. While at the Oregon Sports Authority, he brought several high-profiled events to the state, including the 25th Anniversary of the STIHL Timbersports Series, XTERRA Trail Running National Championships, USA Cycling National Cyclo-Cross Championships, ABA/BMX Great Northwest Nationals, and USA Rugby North America 4 Tournament. While at the University of Portland, Arran co-hosted a sports radio show, “Sportsweek” for four years, interviewing guests such as FS1 personality Colin Cowherd, former Sportscenter anchor Larry Beil, basketball great A.C. Green, and Emmy-award winning comedian Jeff Cesario. Arran is also an accomplished published author of two books: To Light a Fire and Other Short Stories and Not True Stories From Oregon. Arran was also a contributing researcher for Gary Andrew Poole’s biography of Red Grange, The Galloping Ghost. Arran currently resides in Portland, Oregon with his wife and two daughters. Garrett Thornton is a sportswriter that covers the Portland Trail Blazers, the Oregon Ducks and business related topics in the world of sports. His love for sports came at a very young age and was met by his love for journalism in high school. As the Sports Editor for his high school newspaper, Garrett really learned to embrace and enjoy various angles and aspects of all types of sports. After a job shadow at the Oregonian, he thought journalism might be in his future. Life led in a different path but in March 2012, Garrett began writing from OregonSportsNews.com. Since joining the OSN team he has had the opportunity to interview and meet a lot of great people in the Blazers, Ducks, and Thunder organizations and is excited to see what the future holds. Julian Rogers is a freelance writer, communications consultant and owner of Juju Eye Communications. Follow him on Twitter (@thejujueye), or connect with him on LinkedIn and Google+. 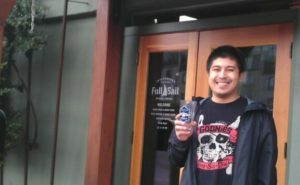 He is a graduate of the University of Portland. Wade Evanson is a life-long sports fan whose knowledge ranges from major league sports the likes of Football, Baseball and Basketball to more niche sports like Golf, Tennis and even Cricket. While born in Southern California, Wade has spent the better part of his life in Oregon, attending Elementary, High School and even College in the Beaver State. Despite an educational background in Business, the bulk of his brain is occupied by an inordinate amount of trivial data which he feverishly applies to his work as a freelance writer. He prides himself in his ability to argue…any point, cloak his inability to lose gracefully…at anything, and squeeze an ungodly amount of golf into the calendar year. Aside from local contingents, Wade does and always has rooted for the Los Angeles Dodgers, St. Louis Rams (Here’s to them going back to L.A.) and Eric Dickerson…the greatest running back to ever tote the pigskin.